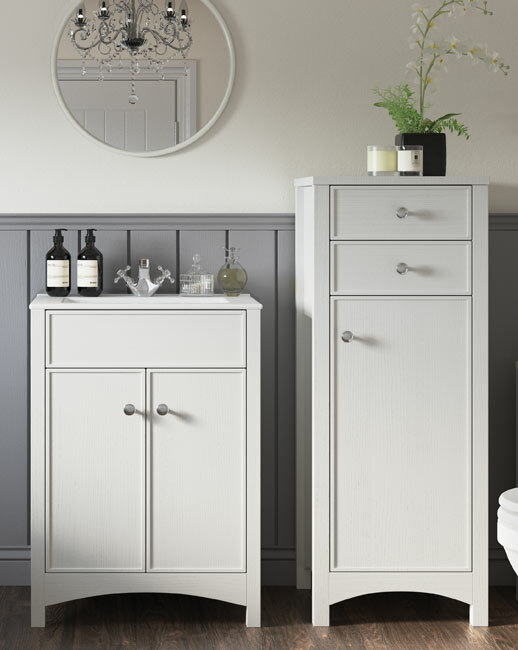 Lucia 600mm vanity unit with basin, Lucia WC unit, Sherbourne back to wall WC, Lucia tall unit and mirror. 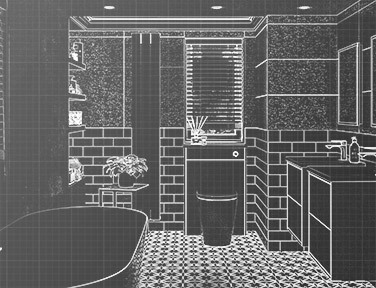 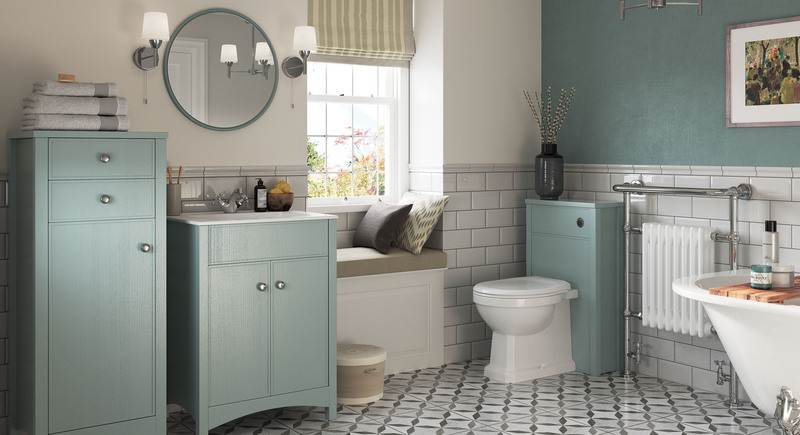 Richmond freestanding bath, Eterno2 taps, Eterno radiator and 5 light chandelier. 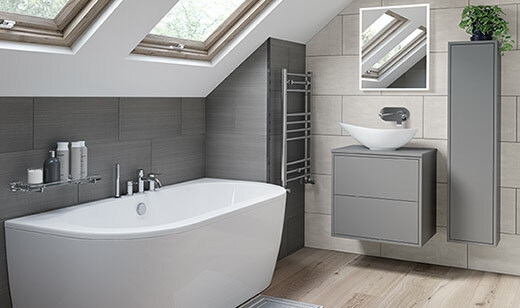 RefleXion 6 wetroom panel and Traditional shower . 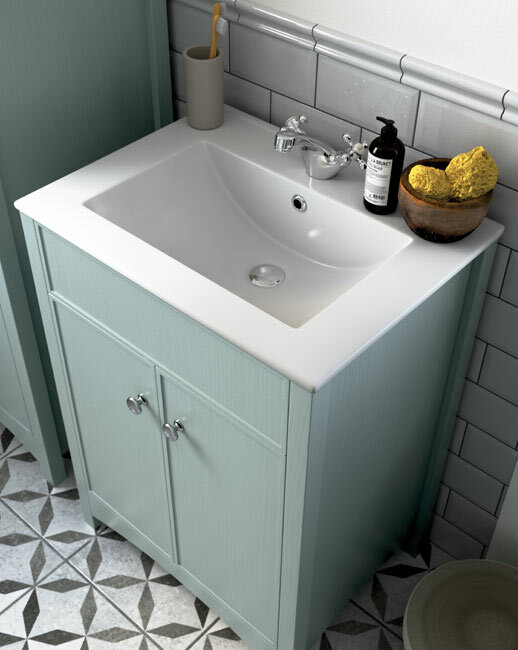 Lucia 600mm vanity unit with basin, Lucia WC unit, Sherbourne back to wall WC, Lucia tall unit and mirror. 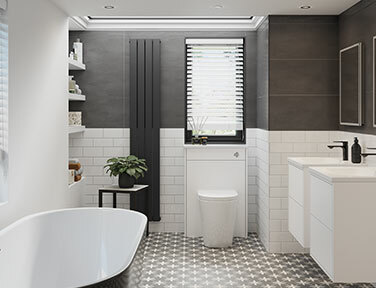 Cascade single end bath with Lucia panels, Eterno2 taps, Eterno grey radiator. 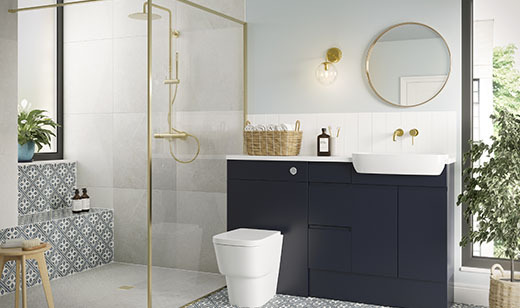 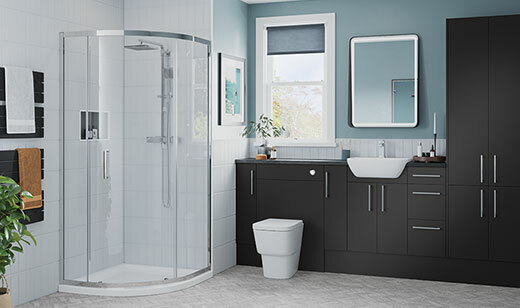 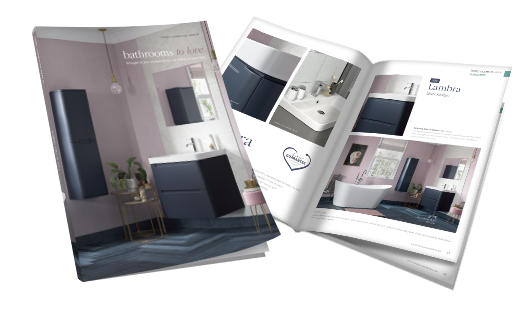 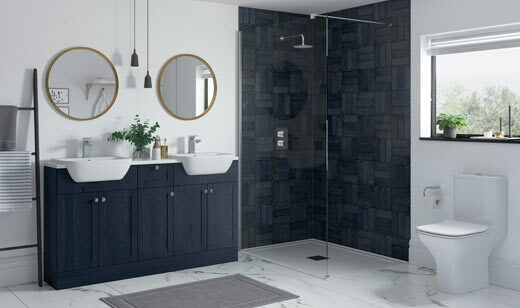 A truly transitional range with style and versatility to look equally as beautiful in both traditional and modern bathrooms. 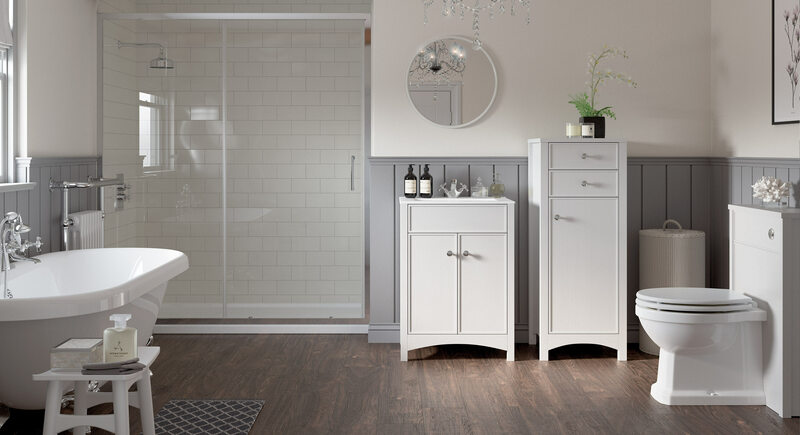 Lucia brings together the best of both with a textured woodgrain feel and brushed chrome handles to the more modern tea tray style door and on-trend decors. 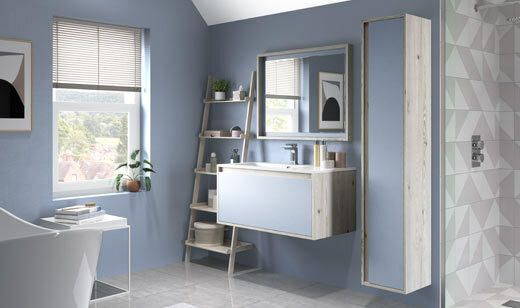 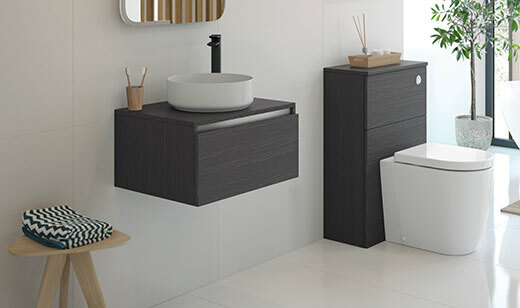 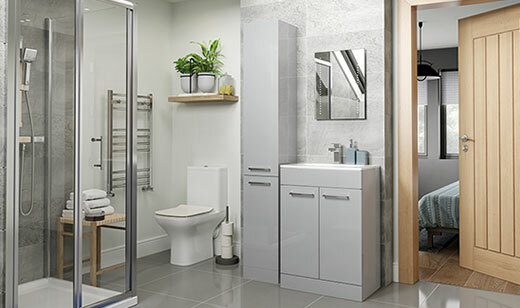 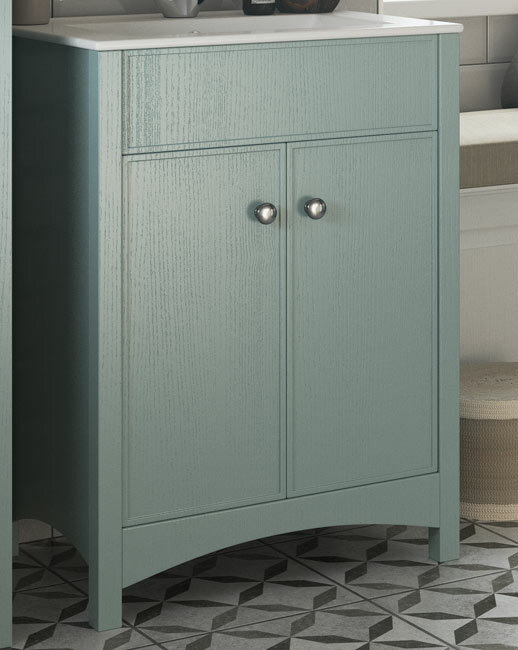 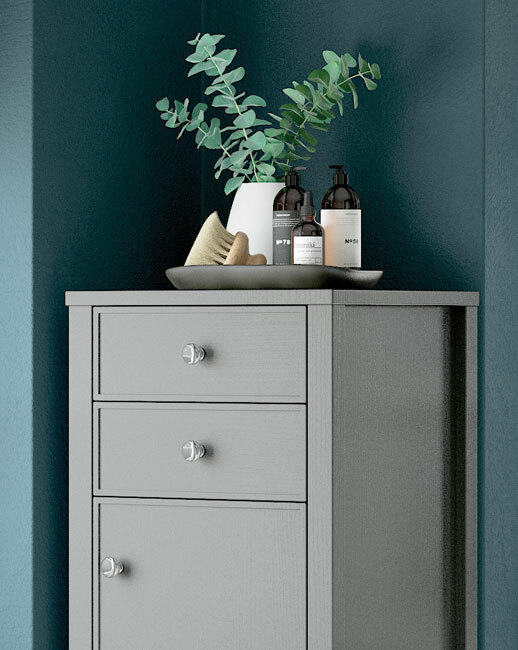 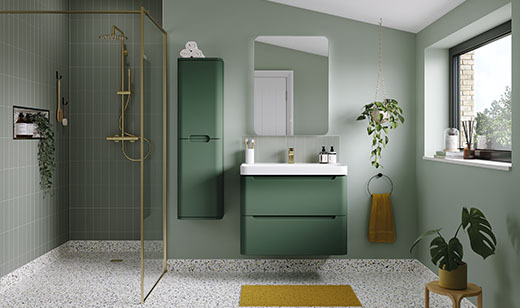 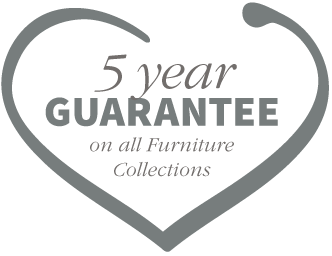 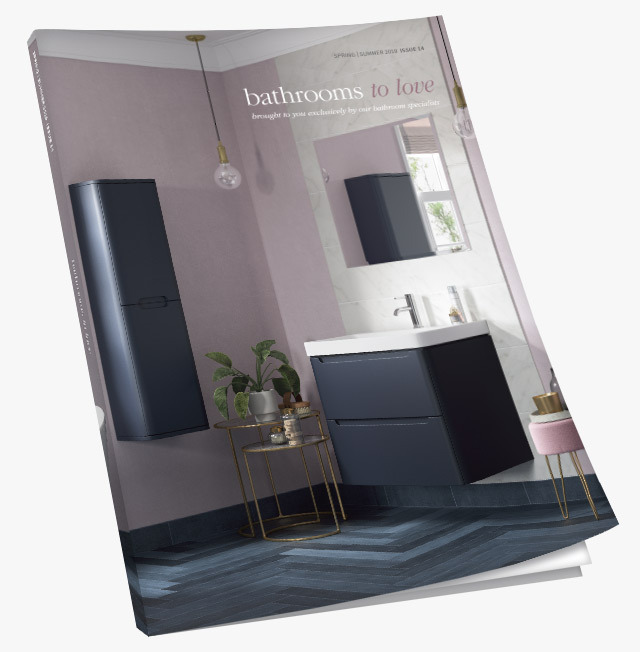 Lucia bathroom furniture comes with fully co-ordinated cabinets and brushed chrome handles with soft close doors and drawers.